You'll want to stay tuned again this month for another great giveaway of wonderful American Crafts products. It's another prize package full of items from the Hello Sunshine collection...but all different items from the last giveaway. 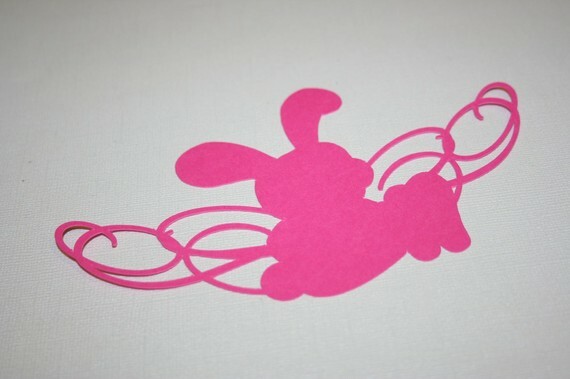 This adorable little bunny scroll has hopped its way into her store just in time for Easter. It also comes in white and black. Scrapbooking the Everyday is the newest eBook offering from Ella Publishing Co.
"Life's littlest and most magical moments can be very easy to overlook. But no longer! Elizabeth Dillow and Tina Cockburn are here to help you scrapbook your regular days with simplicity and style. 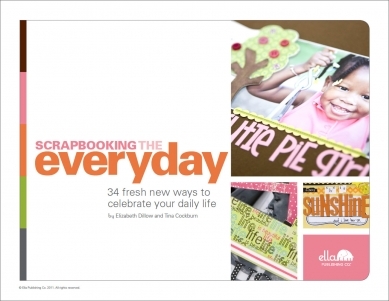 Join the fun as Elizabeth and Tina tackle 12 unique scrapbooking challenges, creating meaningful projects that look at daily life in a new way. 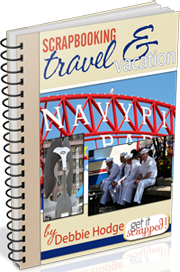 Get inspired to scrapbook everything from the laundry to the library, from your cityscape to a typical backyard scene. It all counts!"